In South China Sea news this week, tensions between the U.S. and China over the South China Sea appear to be less hostile. According to Business Insider, U.S. Defense Secretary Jim Mattis downplayed the need for U.S. military intervention in the disputed waters on Feb. 4. Mattis reportedly said the United States needs an open line of communication with China. And according to China Daily, those comments inspired optimism in China that things "may not be as bad as previously portrayed." In his confirmation hearing on Jan. 12, Secretary of State Rex Tillerson said he would not allow China access to the islands it built in the South China Sea. After the comments, China's Global Times warned any intervention would lead to a "large-scale war." China's official response wasn't as threatening but was still clear. Foreign Ministry spokesman Lu Kang said that China had the right to conduct "normal activities" in its own territory. South China sea is the most damage for USA to play in the rest of world. 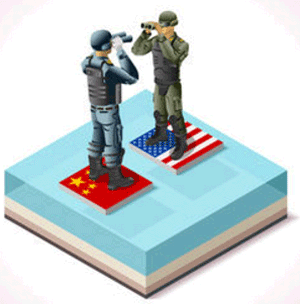 When war in south china sea is war on mainland China and mainland United States. China country will be by USA Nuclear and USA country also hit by China. United states lose super powers and world leader, Russia, North Korea and Iran are winner. Russia world leader. 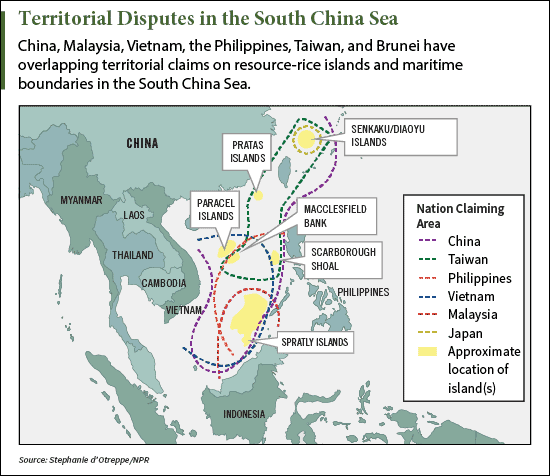 Why China is not fight in south sea. They nuclear will be hit USA mainland be for they are fight in South China sea. that why no Asians countries want get invol on it.